Chairman of Summerfest Productions, Robert Russell, says American R & B singer R Kelly will definitely be performing at Reggae Sumfest on Saturday, Juy 21. "He is definitely coming. 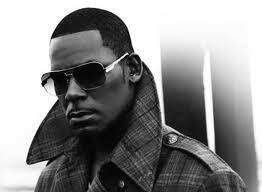 I have been in touch with them (R Kelly's publicists) and they say he is coming, and is really looking forward to performing here," Russell told the Jamaica Observer today. The Summmerfest Promotions chairman was responding to reports in the media which stated that the R&B singer is suffering complications from throat surgery and will miss promotional appearances for his new album and memoir. The report quoted Kelly's publicist as saying that the singer was on his way to New York on Wednesday morning when he became ill and returned to Chicago for medical treatment. Kelly who was booked to perform at Reggae Sumfest last year cancelled just weeks before the event because of a surgery to treat an abscess on his vocal cords. But Russell said today that the artist was “just having a bout of laryngitis” on Wednesday. "It was really nothing serious. He has now decided to rest for a few days as he gets ready to come to Jamaica…he wants to make sure that he is in good shape when he comes," Russell explained.